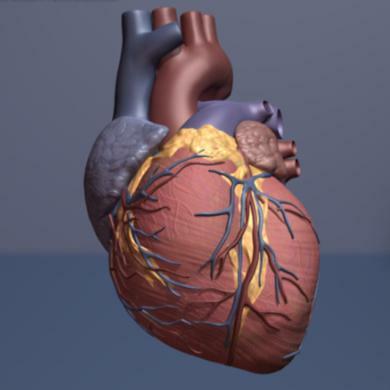 Sudden cardiac arrest is the leading cause of death among adults over the age of 40, according to the SCA Foundation. In reality, the number of annual deaths from SCA is roughly equivalent to combined casualties from Alzheimers disease, firearms assault, breast cancer, cervical cancer, colorectal cancer, diabetes, HIV, house fires, motor vehicle accidents, prostate cancer and suicides. A new study from the American Heart Association has found a potential way to identify patients at risk for sudden cardiac death. Researchers have revealed a correlation between sudden cardiac death and thyroid hormones, so doctors could use information about a patient's hormone use to determine a new risk factor. According to the new research, people with higher thyroid hormone levels were at higher risk of sudden cardiac death than patients with low levels. "Currently, we do not have a good way to predict sudden cardiac death in the general population," said Layal Chaker, M.D., M.Sc., study lead author and doctoral candidate and research fellow in endocrinology and epidemiology at Erasmus University Medical Center Rotterdam in the Netherlands. "Thus identifying additional risk factors is crucial. Our results indicate that thyroid hormone levels may be useful for assessing risk to prevent sudden cardiac death." In the long-term study, 10,318 patients were examined. Participants’ average age was 65, more than half were women, and nearly all were Caucasian. As a result of these findings, researchers suggest healthcare providers exercise discretion when treating patients with low thyroid hormones so that thyroid levels are not over treated. "We know that a considerable proportion of patients on thyroid hormone replacement therapy are over-treated and so have high blood levels of thyroid hormone," Chaker said. "Our study suggests more caution is warranted in the treatment of thyroid hormone replacement. Replacement therapy is often aimed at the high normal range which carries a risk of overtreatment." Sudden cardiac death occurs when the heart’s normal electrical rhythm malfunctions, causing the vital organ to stop beating. Source: Chaker L, van den Berg ME, Niemeijer MN, Franco OH, Dehghan A, Hofman A, et al. Circulation. 2016.